Streaming video games are more popular than ever. The star of the most-followed channel on the Twitch makes more than $560,000 a month streaming. 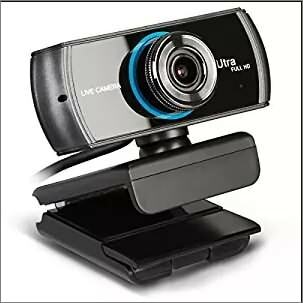 If you are looking to get in on the action you need to pick up the best gaming webcam for your budget. However, there is a lot to consider before choosing your camera. The Ontop+ HD Webcam is a fantastic entry-level camera. It has a 6-element glass lens and delivers 1080p at an admirable 30 FPS. It also has the automatic low-light correction, which is so important to us! The result is precise and dependable streaming quality, without the need for an expensive lighting setup. Working with OBS Studio, the Ontop+ is designed to optimise your videos for YouTube and Twitch. The wide-angle view also gives you impressive 80-degree panoramic views. Now, it is often assumed that audio is something which lets even the most expensive webcams down. Ontop+ wanted to challenge this assumption and make a webcam with fantastic audio quality. With built-in dual digital noise-cancellation microphones, Ontop+ claim their camera will work in all environments. Unfortunately, they haven’t quite lived up to the hype and the audio is occasionally patchy. But, at just under $50 we are willing to overlook some of the Ontop+’s limitations to give it our seal of approval. The Logitech BRIO is the best high-end webcam for streaming. It delivers tremendous 4K Ultra HD recording, allowing streamers to produce professional-quality videos. The BRIO is capable of shooting in 3,840 x 2,160 at 30 FPS (Ultra HD), 1,920 x 1,080 at 30 or 60 FPS (Full HD) and 1,280 x 720 at 30 or 60 FPS (HD). The BRIO is also packed with additional features such as 5x digital zoom, facial recognition and omnidirectional mics. It also supports Logitech RightLight 3 with HDR which gives it exceptional performance regardless of the light conditions. Plus, you can choose between a 65-degree, 78-degree, and a 90-degree field of vision, privacy shade and a flexible mount. For professional streamers, this is a fantastic investment piece. However, there is a catch. To stream at 4K, you’ll need to connect the Brio to a USB 3.0 port on a computer running on Intel’s seventh generation Kaby Lake processors, which support Ultra HD 10-bit HEVC decoding. The Kiyo is an innovative new web camera. The ring-light camera is a new feature, with twelve white LED lights surrounding the lens. Plus, the Razer Kiyo lets you adjust the brightness of the ring-light camera, with 12 different brightness settings, so that you can always get the most flattering light. Although the Kiyo doesn’t come with much else. There’s no facial enhancement technology or background replacement. What it does excel at is creating a vivid stream with high resolution. It is capable of shooting 1,920 x 1,080 at 30 FPS (Full HD) and 1,280 x 720 at 60 FPS (HD) like a lot of its competitors. But we are convinced gamers will love the great lighting features that are unique to this style of streaming webcam. The camera was created after consultation with Twitch streamers and it also comes with built-in support for Xsplit and Open Broadcaster Software. Aukey has built a decent-quality camera for a low price. 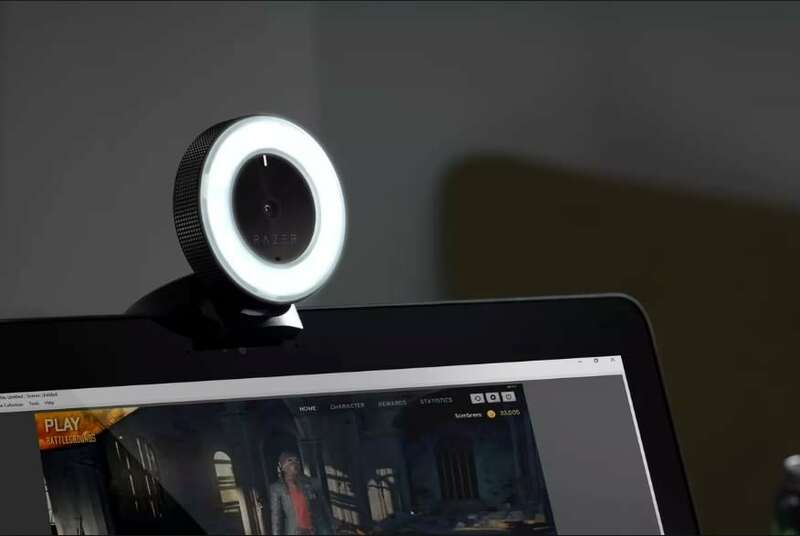 With 1080p full HD video at 30 FPS, on a 2-megapixel base and built-in stereo microphones, this webcam keeps up with its main competitors and delivers a high-resolution image. What we love about it though is its ease of use. This camera is compatible with Windows XP, Mac OS 10.6 and Android 5.0 or higher. It has no additional software to install, just plug it into a USB port and start streaming. It is also very portable and light. Although, lighting might be an issue unless you have a good ambience when you stream. 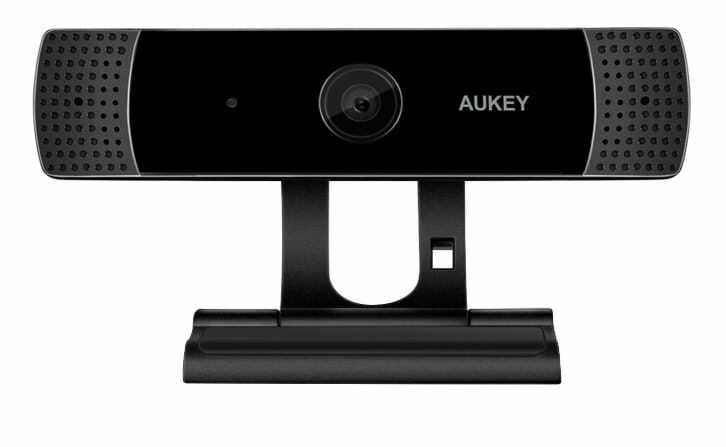 The Aukey also does not autofocus as well as other cameras on this list. But with prices around $40 at Amazon, this is an excellent camera for beginners. The Razer Stargazer is the best webcam at effortless background removal. It is the only external webcam with an Intel RealSense 3D camera, state of the art depth-sensing technology allows you to give more viewing space to the game and gives your viewers a more engaging experience. However, the Intel RealSense camera limits the camera’s compatibility to Windows 10 computers with sixth-generation or later Intel Core CPUs. This is a minimum specification that non-RealSense webcams don't require. Like most of its competitors the Stargazer streams 1,920 x 1,080 at 30 FPS (Full HD) and 1,280 x 720 at 60 FPS (HD). With the Stargazer, you will have good screen resolution, but you will not be the sharpest-looking streamer on platforms like Twitch. Occasionally, the Kiyo will struggle to focus in low-light settings, but it does have fantastic colour accuracy. What it does have over its competitors though is audio. The Stargazer wins out here because it's fantastic at filtering out ambient noise. If you don’t have the room or money for a physical green screen or an external mic but want effortless and professional performance the Razer Stargazer is the webcam for you, with prices starting at only $150 at Amazon. 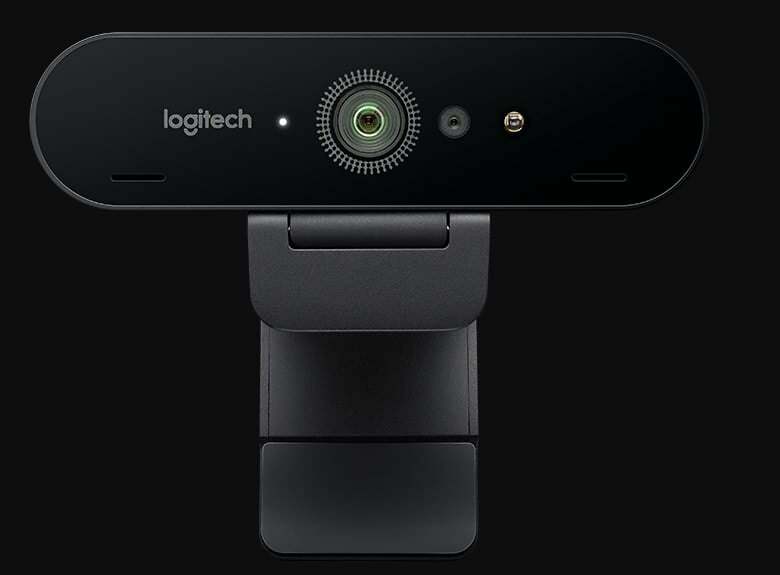 Streamers on platforms such as Twitch, seem to be choosing Logitech cameras most often. However, although the BRIO delivers unbeatable performance for gaming, there are now other brands challenging Logitech’s gaming supremacy. Razer has two innovative cameras on this list. The Kiyo has cutting-edge lighting technology and the Stargazer, with Intel RealSense, has the best background removal technology we have seen. For those with the budget to invest in a serious piece of equipment, we would recommend the BRIO and the Stargazer, depending upon your computer’s processor. At the other end of the scale, the Ontop+ and AUKEY are great options for entry-level streamers working on a budget.